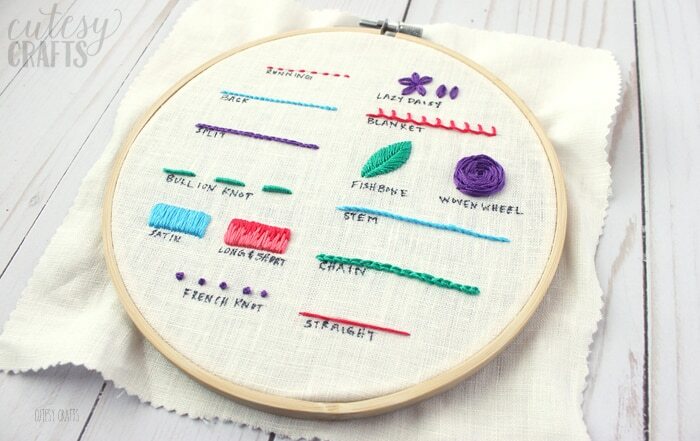 If you learn nothing else from my tutorials, you will at least want to learn how to do a woven wheel stitch. 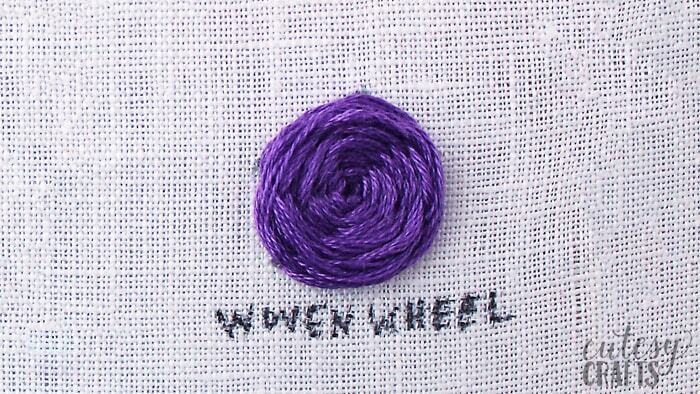 Also known as a spider wheel or wagon wheel stitch, this is an excellent stitch for embroidering flowers. 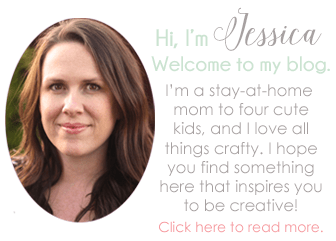 It makes some beautiful, dimensional flowers that you can make as big or as small as you want. My most popular “Bloom” Hand Embroidery Pattern utilizes this stitch, so it’s a great project to practice on. Learn how to do a woven wheel stitch by following my video tutorial below or watching it on my YouTube channel. Make sure that you always have a odd number of lines or “spokes” on your wheel. You can add more if your flower is bigger, but I wouldn’t do less than five.